How to explore Mount Bromo without Jeep? 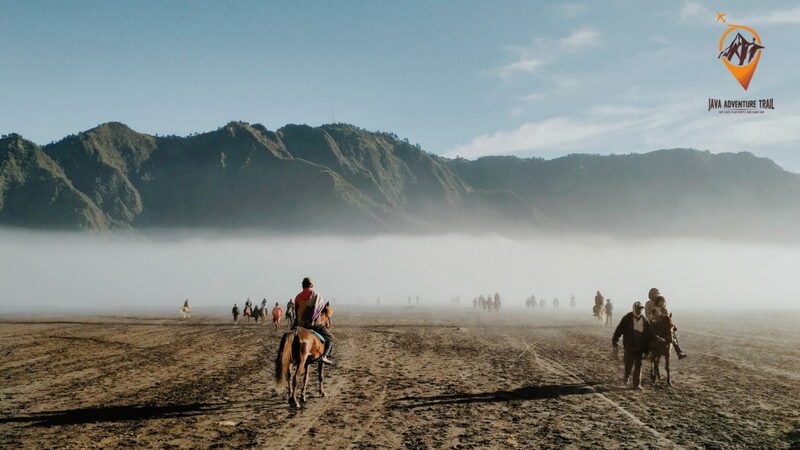 Home TRAVEL BLOG How to explore Mount Bromo without Jeep? Mount Bromo is one of the most active volcanoes in Indonesia with the beautiful view. It’s can be reached from 3 towns. Probolinggo, Pasuruan or Malang. Probolinggo is the closest town to Mount Bromo. Most of the travelers visit Mount Bromo from Surabaya Airport because Surabaya Airport is one of the closest airport to Mount Bromo. From Surabaya, we will drive around 2-3 hours to Probolinggo and Probolinggo to Mount Bromo area is about an hour. Best village to stay is Cemoro Lawang village, this village is the last village before the Bromo Tengger Semeru National Park. Anyway Mount Bromo is inside the national park and developed by this park. So, in Cemoro Lawang village there some good hotel such as Lava View Lodge, Café Lava, Bromo Permai, Cemara Indah. And there is some good homestay / Guest house around cemoro lawang that is developed by the local here, for example Bromo Otix Guesthouse. The entrance fee for Mount Bromo is divided into 2 types based on the days. Bromo Tengger Semeru National Park has 50,237 hectares of the area. Including Mount Bromo. Most of the tourists come to Mount Bromo is to see sunrise. And there are some spots where you can go. 1. Penanjakan Sunrise Point, is one of the most famous sunrise point in this area, most of the tourists go to this point for the sunrise. The area is not so big and most of the time is crowded here because the tourist can access thi place from 2 town Probolinggo (Cemoro Lawang Village) and Pasuruan (Tosari). Most of them ride the jeep to get to this place. 2. Kingkong Hill, the second famous hill to see sunrise here, just 100 m below Penanjakan Hill. Jeep is best transportation to get here. 3. Seruni Sunrise Point, this is the lowest sunrise point in this area but the view still the same like the others. And you don’t need to ride jeep to go here. You can just walk from Cemoro Lawang about an hour. The road is step, so you must be ready to do that. If you are not fit enough, you can take motorbike taxi around the village, they can take you up near the sunrise point and you can walk a bit. 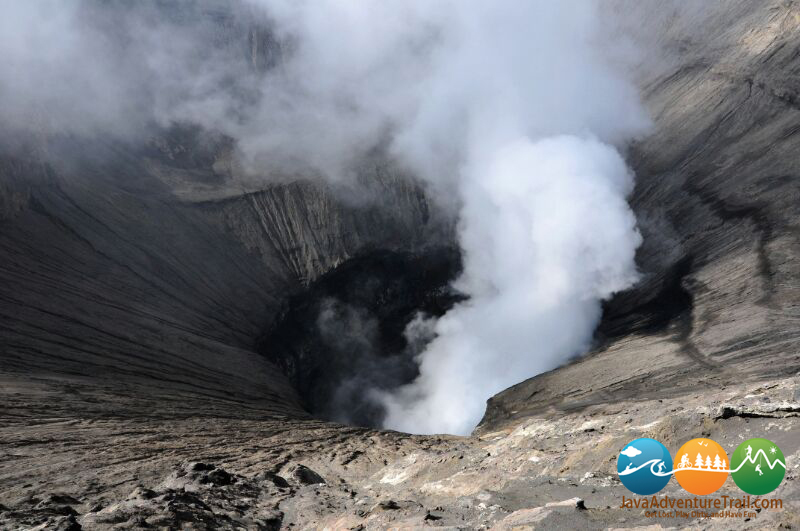 After watching the sunrise from Seruni Point, you must go down into the crater of Mount Bromo and do trekking there. But the problem is you must take a motorbike again instead of jeep because there is none way to go there by walk. So, that is short explanation for all travelers are heading to Mount Bromo, and don’t want to spend so much money for the jeep here. My suggestion: If you are coming with 4/5 persons, you can share the price for the jeep into 5 person. Because, the price for sunrise tour is only 500,000 IDR (jeep only). It’s so much cheaper than taking a motorbike taxi.